Linda requested that if anyone wanted to make a donation in her memory to do so to the Trails Council. The Board will choose a trail project that would honor Linda's interests. Please note on your check that it is for Linda Palmer's project. She was born in Glendora in 1932 as Linda Williams; she lived her early years in Fallbrook; and she died in Calabasas on June 22, 2013. As a Los Angeles County native, she was a loving wife, a nurturing mother and grandmother and a retired actress. 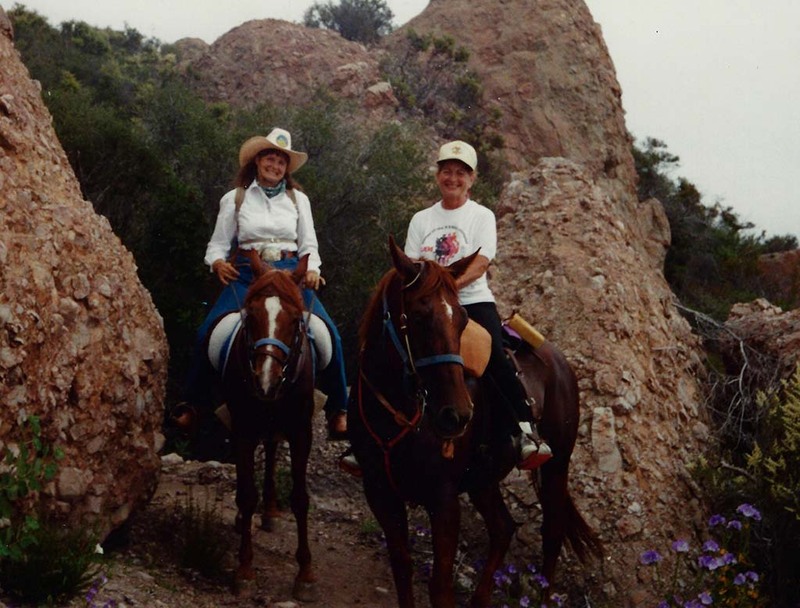 She became an ardent and active open space and trails enthusiast when the family moved to the Santa Monica Mountains in 1975 with their horses. She helped design and promote Los Angeles County’s Trail Plan for the Santa Monica Mountains, an arduous task that she undertook and accomplished. Others worked with her, and the resulting public trails give us places for physical, mental and emotional respite. Linda designed the Upper Stunt High Trail in Calabasas and she also had a hand in building the trail. She literally crawled on her belly or on all fours under and through the brush. It must be noted that stickers, thorns and the occasional snake made laying out the route a bit more interesting. Crawling through the brush tying surveyor’s tape for others to follow behind to clear a path for the trail is not for the weak of spirit! She was appointed to the Santa Monica Mountains Advisory Committee in 1980; and she served with dedication and good advice, always researching problems to figure out how best to resolve them. With a few years off, she served for a total of 24 years. In 1984, she coordinated the feasibility study for the Los Angeles County portion of the Juan Bautista de Anza National Historic Trail. In 1993-94 she co-chaired the Anza Trail Plan Task Force to assist the National Park Service with the specific plan through Los Angeles County. She was an Advisor to both Los Angeles County and Ventura County and their cities involving the Santa Monica Mountains. Further, she spent countless days and hours at the California Coastal Commission hearings regarding trail issues. She would always speak about issues using research, knowledge, and fairness. She was the calm mediator when there were issues fraught with bias and divisiveness. Linda was President of the Trails Council for fourteen years, 1981 through 1994; then was vice president for the years 1998-2010. She was the first Trail Crew Leader for the volunteer trail maintenance crews. She was the keeper of the tools for the Trails Council, and all the crew knew where her garage was. She had the Trails Council telephone in her home; and she & Bob personally paid the bill for many, many years. In a nutshell – she was the embodiment of the Trails Council. 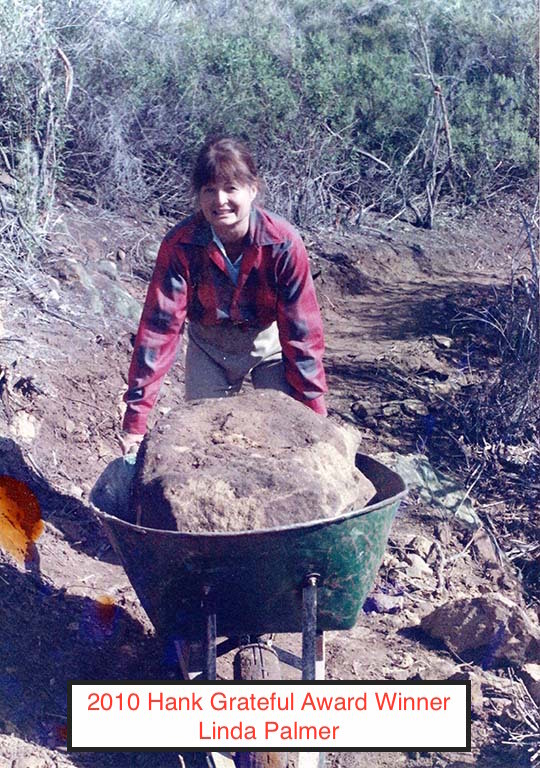 Linda was the catalyst to coordinate trail projects. She established the adopt-a-trail program in the Santa Monica Mountains; encouraged workshops for training trail crews; and supported utilizing people assigned for public service by the courts to work on trails. Samuel G. Lutz Memorial Award in 1987 for volunteerism in the Santa Monica Mountains. 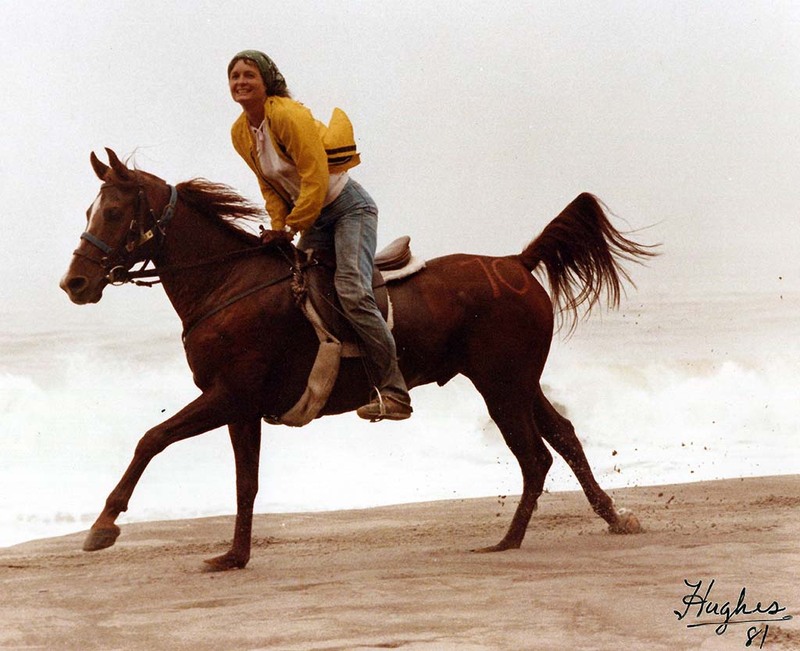 Equestrian of the Year 1987– from Greater Los Angeles Equestrian Association. 1992 Citizen of the Year from Las Virgenes Homeowners Federation. Award from Malibu Trails Association in 1994. Award from Recreation & Equestrian Coalition (REC) 2001. Recognition by Los Angles County Board of Supervisors in 1995 and 2001. Hank Grateful Award from the Santa Monica Mountains Trails Council 2010. 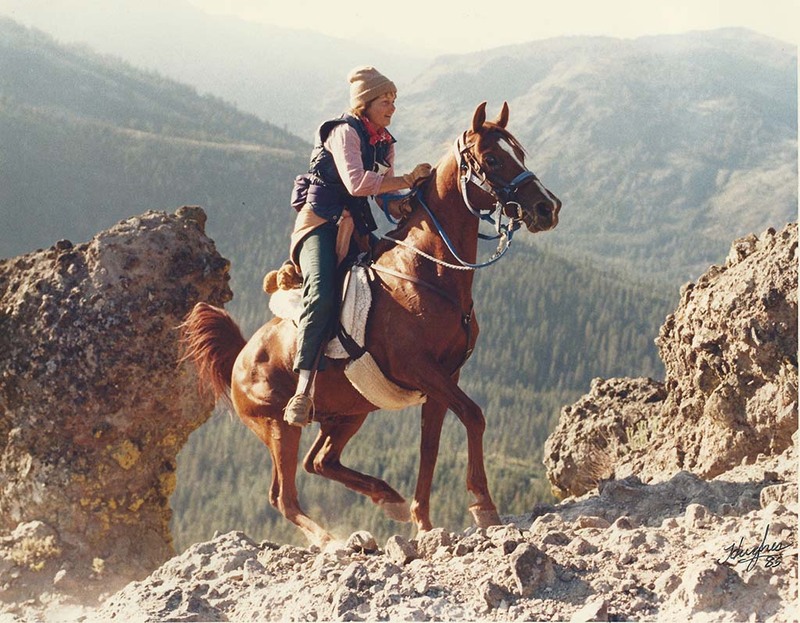 "Her efforts to create and protect trails will be timeless. I'm thankful to have worked with her."